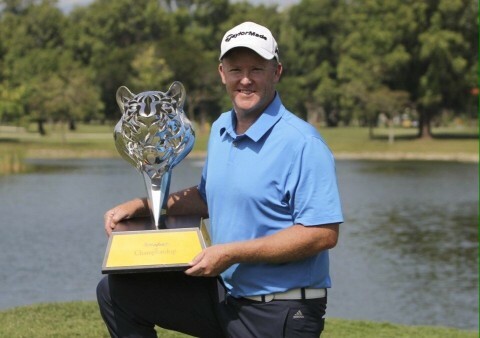 Marcus Fraser shot a final roundd 68 to win the Maybank Championship - Full report to follow. Marcus Fraser shout a 2nd round 69 to go with his opening round of 66 to be 7 under par, and T7th after 36 holes of the Maybank Championship in Malaysia. Fellow Australian Nathan Holman leads by 2 shots on 13 under par. The evnt concludes on Sunday. Jimmy Mullen, one of stars of the 2015 winning Walker Cup team starts his first full season as Professional at the Dimension Data Pro Am on the Sunshine Tour in South Africa on Thursday. "I put so much effort into making the Walker Cup team and did great, I then played great at the Dunhill. The year was going absolutely amazing then it all just came crashing down at the end. But you've got to learn from it and move on. I've got to learn to play professional golf somewhere and the Challenge Tour is going to be a great place for me to start. A lot of great players started there and I don't see the problem with me starting there and learning my trade there." Stuart Manley continued his solid early season form finishing tied 29th in the Tshwane Open in South Africa, rounds of 72,68,72,70 saw him finish with a 4 round total of 282. Manley, who is sponsored by Bank Frick has so far played in 5 events on the 2016 Race To Dubai and currently sits 94th on the rankings having had 3 top 30 finishes. Stuart returns to the European Tour in 2 weeks time in the ISPS Handa Perth International from February 25th to 28th at the Lake Karrinyup CC. Stuart Manley returns to action on the European Tour next week at the Tshwane Open at Pretoria CC, Waterkloof. Marcus Fraser and Michael Hoey both compete this week in the final leg of the European Tour's Desert swing, the Dubai Desert Classic, which is played at the Emirates Club in Dubai, and starts on Thursday. Manley continues good early season form. Stuart Manley continued his good early season form with a final round of 69 to finish on 11 under par and tied 13th at the Joburg Open in South Africa. Manley who is sponsored by Bank Frick moved up to 54th in the 2016 Race To Dubai. Michael Hoey returns to action this week on the 2016 Race To Dubai, at the Joburg Open. Hoey who is sponsored by Sphere Global will play 1 event in SA before going to the Middle East for 3 tournaments. Hoey said prior to leaving from his home in Northern Ireland, " I am very much looking forward to the early part of the season as there are some top quality events, also we will be playing on some great courses, so its a good test for my game early on in the year "
Hoey is joined at the Joburg Open by fellow BlackStar golfer Stuart Manley. Stuart Manley is the first BlackStar golfer back in action in 2016 as he opens up his season at Glendower Golf Club in the BMW South African Open. Manley who is sponosred by Bank Frick returns to the main European Tour after regaining his full status at the Tour Qualifying School in November 2015. 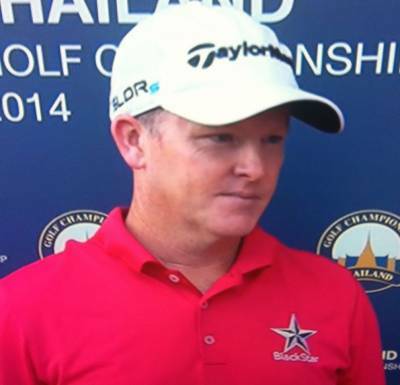 The 2015 golf season finished in Thailand with Marcus Fraser finishing T30. The break is short but will be welcomed by the players, Stuart Manley will be first back in action at the South African Open in early January. Many thanks on behalf of all the players to everyone who has been involved with BlackStar Golf, and hopefully 2016 will bring great things. Manley ends 2015 by finishing 18th in Brisbane. Stuart Manley heads home for the Christmas & New Year break after shooting a final round 71 and finishing 18th in the Australian PGA Championship, the second event on the 2016 Race To Dubai. Manley, who is sponsored by Bank Frick, will head back to South Africa in early January for the South African Open. Marcus Fraser, who finished in 48th place in Brisbane, heads to Thailand for his last event of 2015, the Thailand Golf Championship, where last year he finished 2nd and also qualified for the 2015 Open Championship, via the R and A's international qualifying events. This time last year Marcus Fraser was just starting to play competative golf again after having not played for most of 2014 due to a serious wrist injury which required major surgery, his world ranking dropped from 51 to 300, in addition he wasn't sure how the wrist would stand up to the rigours of constant play and practise on tour. Marcus said at the time " My wrist feels strong again and I have been doing some intense practise at home, but until I have played a few events in a row I can't be totally sure I am over the problem "
2015 has proved to be a successful return for Fraser, he climbed back up the world rankings to 123, and also qualified for the European Tour season ending DP World Tour Championship, eventually finishing 52nd on the final Race To Dubai rankings. Along with this Fraser finished tied 20th in the Open Championship and made the cut at the US Open at Chambers Bay. Fraser played in 24 European Tour events in 2015, missing the cut on only 5 occassions. Fraser, who lives in Melbourne is now looking forward to 2016, " I am pleased with the way 2015 has gone, my game has been consistent, and impotantly my wrist has given me no problems, I am looking forward to next season, and hopefully can get my world ranking back to where is was prior to my injury. " Solid back 9 from Fraser at BMW Masters in Round 3 ! Marcus Fraser holed his second shot on the the 18th in Round 3, add the eagle to birdies on the 10,11,13 and 14th and he shoots 29 on the back 9 !! The notoriously tough European Tour School starts tomorrow at PGA Catalunya just outside Girona in Spain. With 156 players starting, the event is over 6 rounds with a 72 hole cut coming for the top 75 players and ties and then the top 25 players gain full European Tour staus for 2016 at the conclusion of the 108 holes. This will be Jimmy Mullen's first Final School having only turned Professional in September after the playing a significant role in the victorious Walker Cup team. Mullen 21, from Royal North Devon has already progressed through 2 preliminary stages, recently winning stage 2 at El Saler with a 16 under par total. Jimmy said " I am actually looking forward to the event, it will be tough but I have been playing well recently so hopefully I can continue this form over the next few days." Stuart Manley from the Celtic Manor Resort gained his card in 2013 through the Tour School when finishing 11th so he knows about the rigours of Tour School, Stuart said " It is a tough week in terms of the event been over 6 rounds, but I played well last week finishing 3rd at PQ 2 so the game feels pretty good, I am just looking forward to getting started "
Marcus Fraser returns to the European Tour this week in the penultimate event of the Final Series, the BWM Masters in Shanghai which starts tomorrow with Fraser teeing of at 9.10am local time along side ex Open Champion John Daly. Marcus currently sits in 60th position in the season long Race To Dubai rankings, the top 60 players at the conclusion of the BMW Masters move on to to Dubai for the season ending DP World Tour Championship.